VOTED A "HOT SKY PRODUCT - 2017" BY SKY&TELESCOPE MAGAZINE! 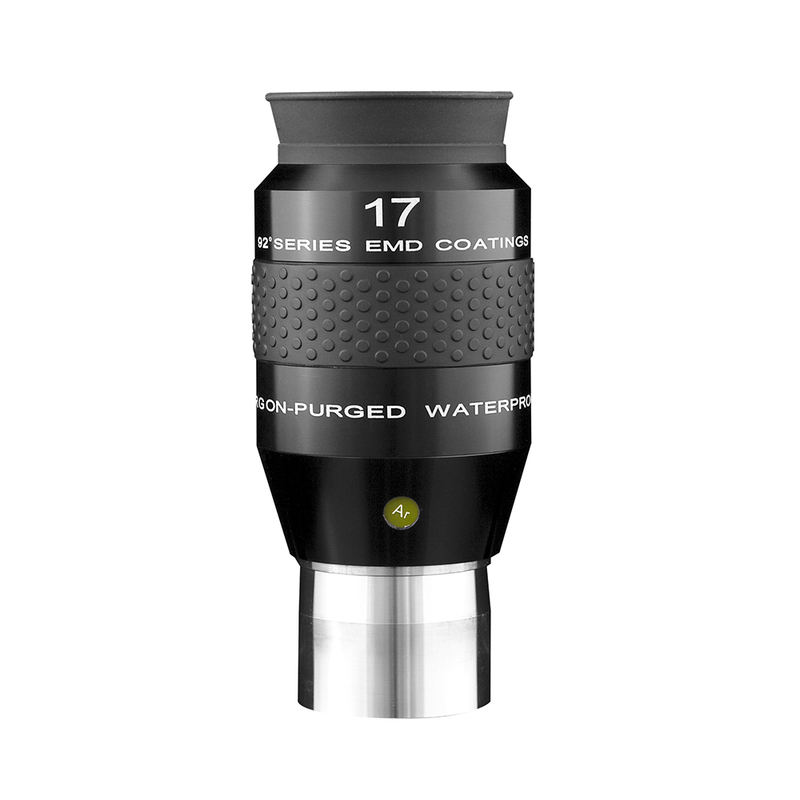 Explore Ultra-Wide Eyepieces - Comfort, Quality, Value. The 92° LE series Waterproof eyepieces provide a hyper-wide apparent field of view with long eye relief for comfortable viewing that immerses you in vast expanses of the star-studded sky. The Explore Scientific 92° Series eyepieces are hyper-wide class oculars that can transform your visual astronomy experience. You may be startled at the amazingly wide expanse of inky black sky you behold the first time you bring your eye to a 92° Series eyepiece. And after a while, you may even forget that you have an eyepiece between you and the universe! With an apparent field of view that is close to the maximum for hyper-wide eyepiece design, objects are not only easier to locate, but for non-driven telescopes the object will stay in the field of view for a very long time before any adjustments need to be made. Another great benefit of hyper-wide eyepieces is the ease with which you can gaze, not directly at an object, but slightly to either side. This skill, called using averted vision, is especially helpful when observing faint objects, because using averted vision puts the image on a part of your eye that is more sensitive to light, allowing you to see fainter images. 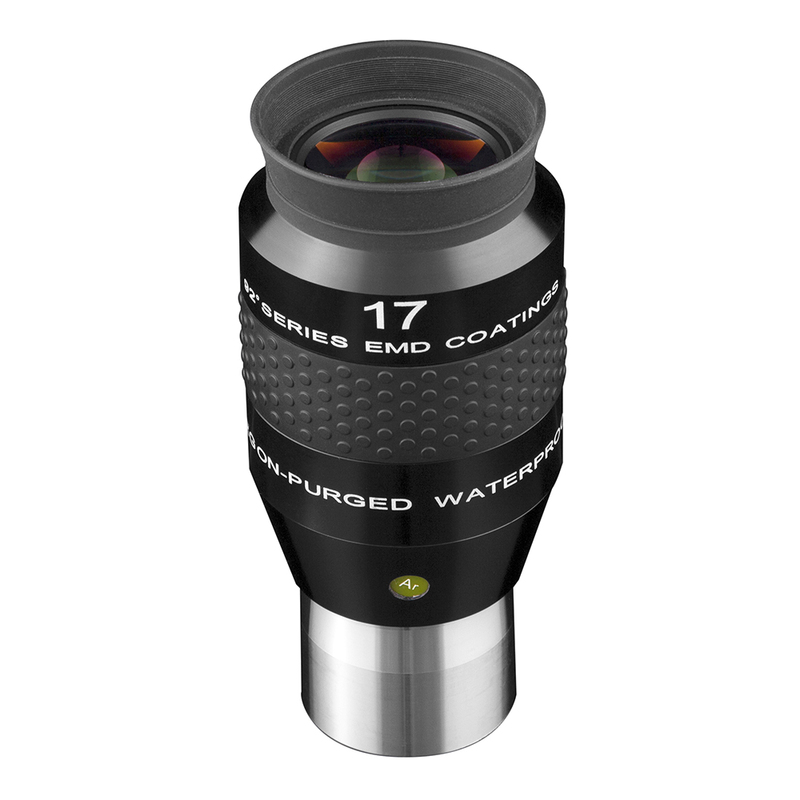 All Explore Scientific eyepieces registered within 60 days of purchase are protected by Explore Scientific's exclusive, fully transferable unlimited lifetime warranty to guarantee your satisfaction. Note: Occasionally, the product you receive might have a slightly different cosmetic appearance or labeling than what is shown. This can often change from batch to batch according to the whims of the manufacturer. However, you will always receive a brand new, original product as described above.